I recently wrote of a change to this iteration of the Usher experience: my students all received a motive and a mission before they began their "expedition" to meet Roderick and Madeline. Students liked this, as we had discussed the literary idea of "backstory" in class. We considered how, for popular fantasy series such as the Lord of the Rings or Harry Potter novels, readers come to realize that a fictional world existed long before the events and it has influenced current events mightily. Thus Aragorn's Numenorean blood has a history, as does the Ring itself. In the case of really strong television series like Mad Men or The Sopranos, backstory helps flesh out the actions by major and minor characters on screen. Poe adhered to his own rules for short stories: he had the right, as he invented the genre. "Usher" is a self-contained world, with references to other texts, real and invented for the story. The Ushers and their problems, however, exist in a sort of vacuum. We have hints of ancient family history, some of it dark, but unlike Tolkien's world, we don't get to hear any "stories within the story," though the poem "The Haunted Palace" appears in its entirety inside "Usher." That's because a short story, like a one-off sitcom episode, has little backstory: we get a set piece that can stand independently of any world revealed in little bits. The short nature of the narratives prevent such complexity. 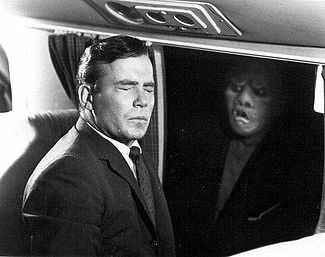 All we need to know is that William Shatner's character sees a gremlin on the wing of an airliner in the classic Twilight Zone episode, "Nightmare at 20,000 feet," and off we go with Shatner's over-the-top performance. Lacking Rod Serling's voice or a television studio's resources, I decided to employ these motives and missions. Note that neither I nor the actress playing Madeline knew who got what, and Madeline was partly aware of one motive (I sent part of it to all of the folks in her role). Motive: Madeline was once engaged to your brother. It was a secret between her and him, until he told you. She broke the engagement off without any explanation. Your brother, heartbroken, went off to serve as a Colonial officer in Africa and died of malaria. You’ve always been curious. Motive: You hold a grudge against the Ushers. Their father, Sir Howard Usher, refused to loan your family money, despite their being old friends. The last of the family fortune is long gone. You have kept up a correspondence with Roderick, and from hints in it you learned, over a year ago, that Roderick too is facing financial ruin. Motive: You had a sister who began to fall asleep at midday. Eventually, she began sleepwalking. She died when a doctor’s medicines went awry and she never awoke. You suspect that your sister might have had her body stolen by ghouls who sell such to the medical colleges in London. From Roderick’s letter, you fear something might befall your old friends…the men who steal bodies have been very active in Yorkshire. Motive: You are from Cornwall, in the Southwest of England. You knew the Ushers years ago, and have kept up correspondence with them sporadically. A local family, the Ennis family, lost a son, Colin. He was a sailor killed late last year when his ship ran aground…on the island where Roderick and Madeline Usher live. Mission: Find a way into Roderick’s room and look for family papers. Mission: You are interested in shipwrecks. You heard about the wreck of the Grampus on this island late last year. Mission: Explore the Ushers’ book collections. You know that the Ushers own many rare books, and you collect old books yourself and make a tidy sum trading and selling them. Mission: Find what you can about the medicines Madeline is taking for her illness.